I used to think that each person has a soul mate. A person you are destined to be with, and you’ll never be happy or compatible with another. But then I realized, it’s not true, if every person had one soul mate, and only one person to make him happy, then it means love will be limited to that person and will never be complete without him! What if I am in the east and the other person is in the west? How do we meet? How do we finally get together? And if you say “if you are soul mates destiny will bring you together”. But logically it wouldn’t be possible that I will be waiting my entire life for destiny to help me meet my soul mate! So now I believe that there is no such thing as soul mates. It might be difficult to believe for those who have spent their entire life believing in this fiction (yes I believe it’s nothing more than a fiction told to us by the – happy ending – stories), or worst; who spent years waiting for their (soul mates). On the other hand, I believe that there are people compatible to you, and others not so compatible. And when I say people it means you could fall in love many times with different people and each of them could be a soul mate to you. So here is what I know now for sure. First thing, love always starts from inside. For all the people complaining about not finding true love, love always starts from within, love yourself, inside and out. Love the world and life. And you will see miracles happening around you, one of those miracles is true love wrapped for you in the form of a beautiful human being, you could call him your soul mate, your other half, your match, doesn’t matter. No matter how many names the other person could have, one thing is for sure, he is exactly what you wanted in life. I spent so many years believing in soul mates and wasting my time dreaming in a person thinking he is my destiny, and therefore ignoring all the other people that kept passing in my life. Had I been in the moment and actually paid attention to what’s happening around me, I could have met someone that matches all the qualities I am looking for in a man, but I was preoccupied with other things! You can have the person you want with the same qualities, but just remember, humans may have different DNA, but even the DNA can be inherited. So if you found true love and lost it, you can have it again just the way you want it to be, only with a different person. 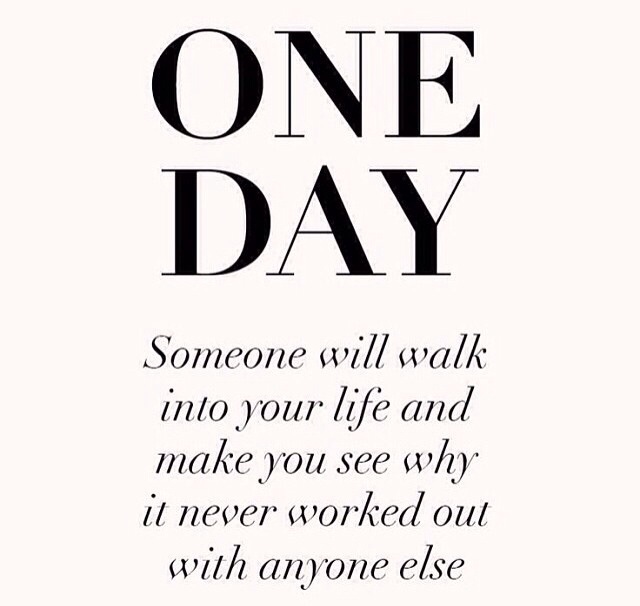 So don’t limit love or yourself with a fantasy of this one person that will come one day and sweep you off your feet. Just live your life and live in the moment, and you will find true love.